Comedians and artists enact popular movie scenes and roast the numerous guest celebrities without stepping on their toes. Watching Telugu TV Channels in abroad has become more easy now. Watch your favorite TV shows and movies of ETV Plus live and catch-up in abroad anytime, anywhere via YuppTV. 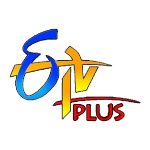 Don''t miss telugu entertainment wherever you are in the world, ETV Plus is a Telugu Entertainment channel, which broadcasts your favorite TV shows and movies all the time. With YuppTV, you can have access to the channel any time of the day.